Most documents are signed to certify its effectiveness. This also builds the credibility of the document being true to its purpose. Sometimes it is hard to track documents in your business or in the office due to the huge number of them that comes in and out everyday. 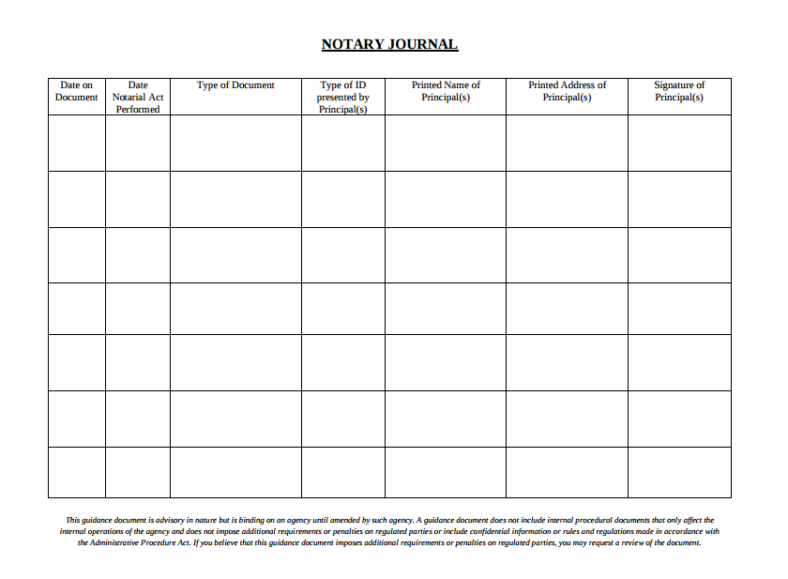 A notary journal could save so much time and track the documents being signed. Right now, a signature is just not enough to validate a document. 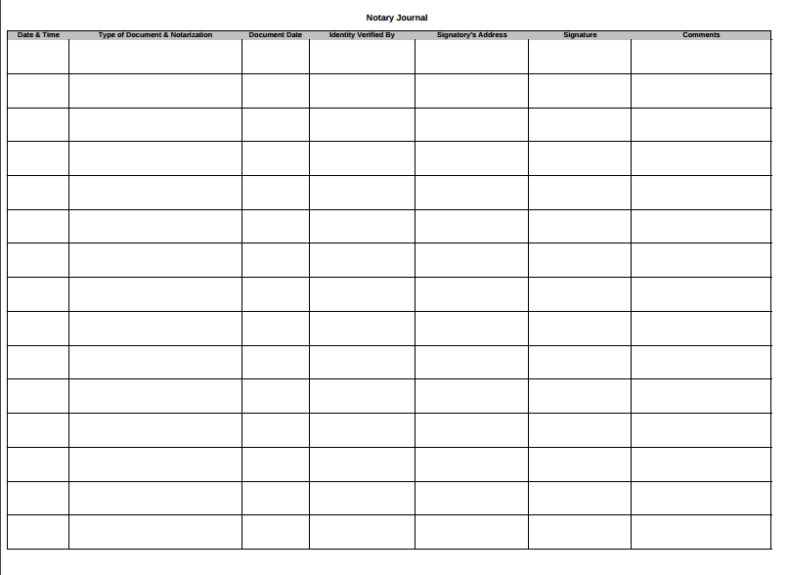 You may also see free journal templates. A notary journal is a piece of document used by notary public to record notarial acts. By notarial acts, it mostly means signing of documents. 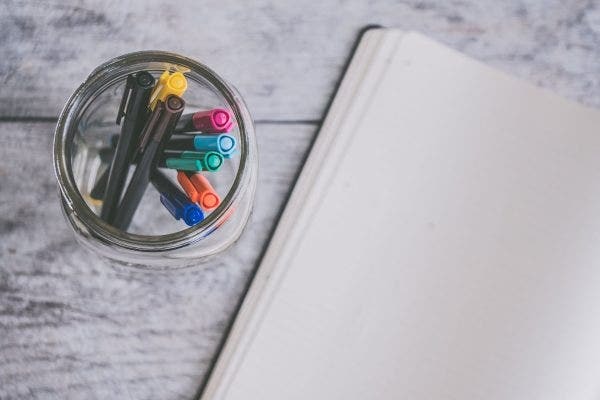 It contains the date and time of the notarial act, the type of notary to be signed, the type of document and the date of document notarized.You may also see bullet journal templates. The notary journal should also contain the provided identification of the signer as proof of his identity. Other than that, a notary journal includes the signature of the document signers, their addresses, and the notary fee charged. The thumb prints in violet stamps are also used to further authorize the legality of the document.You may also see general journal templates. 1. Contact the city hall. One of the best ways in finding a notary public is through contacting the town hall. They can refer you to a number of notaries public who can give you advises and help in legalizing your document. You may contact them through phone or go to the town hall to talk to the notaries public.You may also see journal writing templates. 2. Look for notaries public through online. Look up and browse the official website of your local government to see if there is a list of notaries public available. All the information about a notary public will appear on screen. Get the number and start reaching out to them. 3. Printing and shipping business. Banks have notaries public since statements of accounts and other documents are also kept. Look for them during business hours. 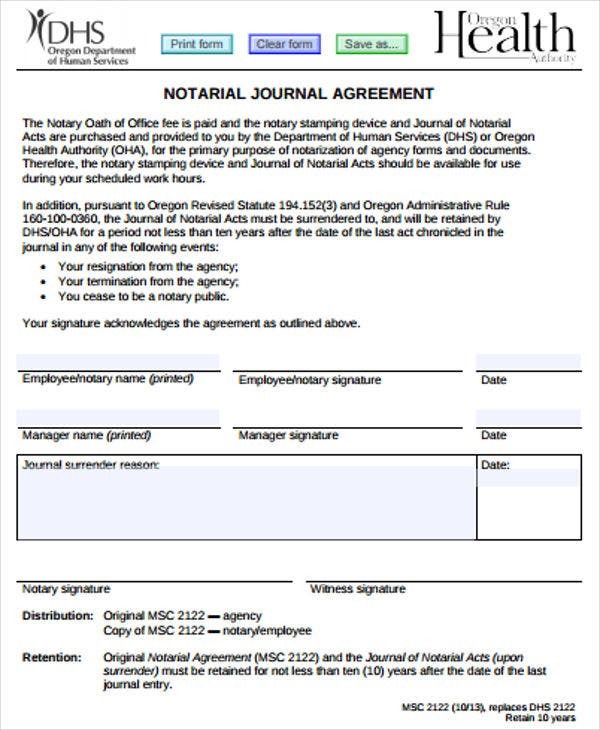 Having your document notarized by them is free of charge when you are a bank customer.You may also see food journal templates. 5. Universities and military bases. Students have some access to notaries and it’s for free. In military bases, notary services are offered for free as well. 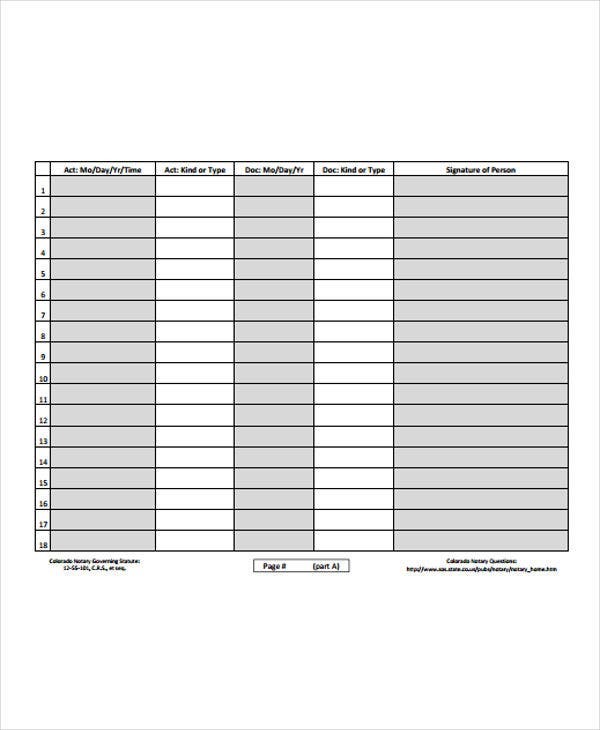 The military personnel and their families are the one who can avail of the service.You may also see accounting journal templates. 1. Fill out the document. Fill out all the parts of the document except for the signatures. Have it done before meeting the notary. 2. Have the document reviewed. 3. Print and provide copies. Print the document and give the other parties some copies of it for their own use. It’s better to print out many copies for backup in case something happens. Before having the document signed, find a notary public to witness the signing of the document. Have them come with you during the signing. Hiring a notary can become expensive sometimes but some notaries give minimal to no charge in transactions like this.You may also see prayer journal templates. 5. Arrange time and place for signing. Show you government issued identification cards so the other parties would know that it’s you signing the document. Identification is much needed for situations like this since it is a legal document waiting to be signed. There are some reasons why a document should be notarized. It lends to some benefits that can help in making a document legal and a strong weapon when conflict comes. 1. Act as an evidence. 2. To know if signing is voluntary or otherwise.